James started his Martial Arts journey at the age of 10 years old and has never looked back. He holds the rank of IBJJF & USBJJF certified 3rd Degree Black Belt in Brazilian Jiu-Jitsu under world renowned Professor Giva “The Arm Collector” Santana of One Jiu-Jitsu, and the rank of 1st Degree Black Belt in Aam-Ka-Jutsu (a form of American Karate). Over the past 30 plus years of his Martial Arts journey, James has dedicated over two decades (22 years) of training solely to the art of Brazilian Jiu-Jitsu. He is the proud owner and head instructor of Foster Brazilian Jiu-Jitsu in Kent, Washington which is one of the largest facilities dedicated to Brazilian Jiu-Jitsu instruction in the entire Pacific Northwest. Professor Foster travels and teaches seminars all over the globe! He is currently scheduling seminars and charity events for 2019 and has limited availability. If you’re interested in bringing 300 out please make sure to contact him ASAP to lock in your spot! 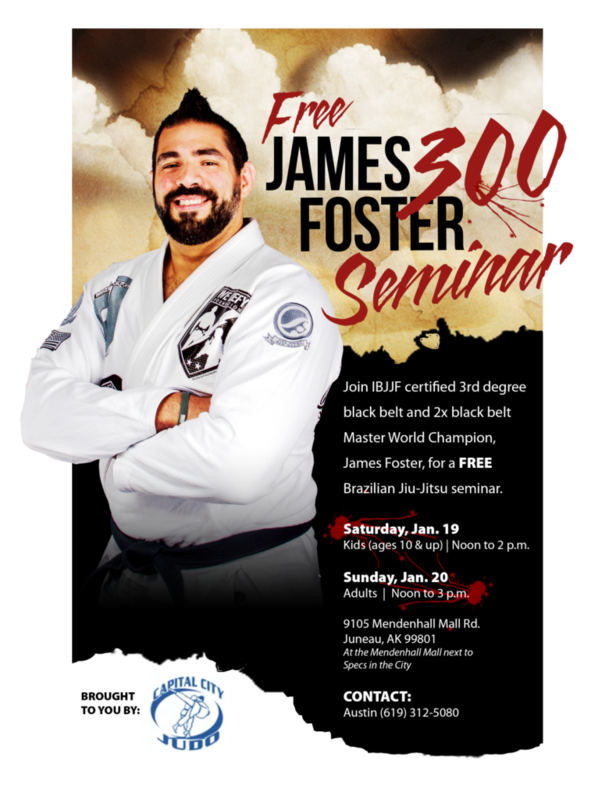 Come learn from Professor Foster at his academy located in Kent, Washington. The facility is one of the largest dedicated to BJJ in the entire Pacific Northwest. He is always excited to meet new students and visitors alike! Professor Foster is available for one on one, small group, and Skype private lessons for those who are looking to improve their skills at an increased rate. Contact him today to schedule yours!